Settler’s Square is the county history center. 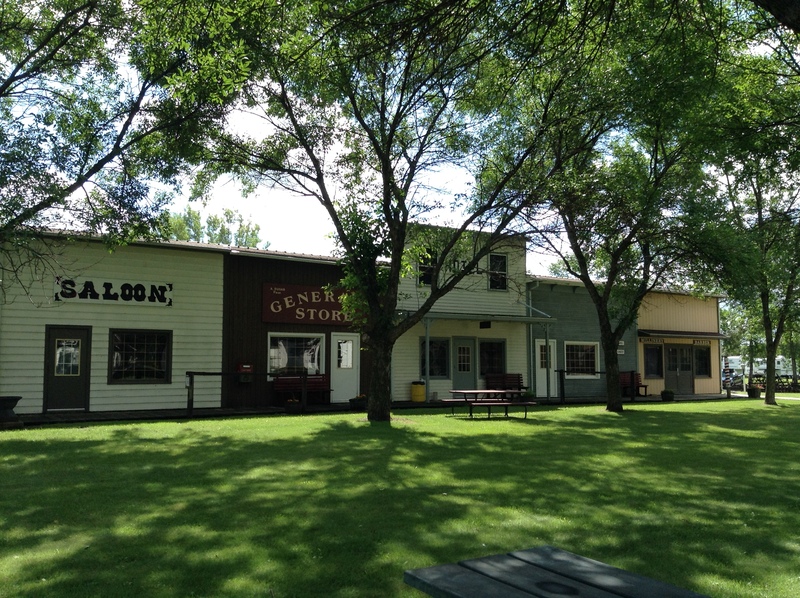 Settler’s Square consists of a complex of historic buildings representing a small community of the 1880’s. A stroll down our boardwalk will bring you by storefronts of the Local Bank, Lawyer’s office, Saloon, General Store, Photographer’s Studio, Millinery Store and the Barbershop. Continue down the boardwalk to the Soo Line Depot, the Alma Church, the Cook School, the Landreville Cabin, the Blacksmith Shop and the Cook Car of the Bonanza Farm days. Take in the many exhibits of past agricultural days in our Ag Building such as the 30-60 Hart Parr Tractor, the steam engine, the Moline Plow Tractor, the Snow Plane, the Studebaker Wagon and much more. Take time to visit our new Visitor Center, a 10,000 square foot climate controlled building which houses many exhibits, the war relics room , along with our collection of antique vehicles including the famous UFO car. Our Admission is free with donations being gladly accepted. We are located adjacent to the Marshall County Fair Grounds in Warren and during the Marshall County Fair in late July we will have over 5,000 people tour our facility. We are open Monday through Friday Memorial Day through Labor Day from 10:00 A.M. to 5:00 P.M. and weekends and other times by appointment. We can be reached at 218-745-4803 or email at MCHS@wiktel.com. Grinding Day August 26, 2018 at Old Mill State Park 11 a.m. – 4 p.m.